I am honoured to brief you in my capacity as the Special Rapporteur on the situation of human rights in Eritrea. I present this oral update pursuant to HRC resolution 29/18. The focus of my presentation will be the situation of unaccompanied Eritreans children crossing international borders, some of the root causes attached to this phenomenon, and their protection needs. First and foremost, I take this occasion to inform the Council that in the same spirit of collaboration and openness that motivated me on assuming my mandate in 2012, I have sent two letters, the first dated 24 August 2015 and the second dated 12 February 2016 requesting to visit Eritrea before this oral update. Both letters have remained unanswered. I would like from the outset thank the Governments of Finland, the Netherlands, Sweden, Switzerland and the United Kingdom for accepting my requests to visit and for the opportunity to interact with Eritreans living on their territories, which enabled me to deliver on my mandate. Before touching upon the main focus of this oral update, I would like to raise selected key issues regarding the situation of human rights in Eritrea. In November 2015, by means of Legal Notice No 124/2015, the Bank of Eritrea implemented a decision to issue new Nakfa notes, the legal tender of the country. The population was given six weeks to redeem the old Nakfa currency notes for new ones at par – that is one old note for one new note. In the context of the implementation of this decision, I wish to raise two points which have direct bearing on human rights. Firstly, while individuals or entities were able to deposit any amount of money in their accounts during the first two weeks, reportedly, they were not able since then to access more than 5,000 Nakfa monthly. Secondly, certain measures allegedly put in place would be in violation of protected rights, such as the right to privacy. As an example, reportedly, an application form for expenses relating to a wedding ceremony emanating from the Commercial Bank of Eritrea requires an applicant to declare every single amount to be spent for the occasion. The person organizing the wedding must also bring a supporting letter from the local authorities. 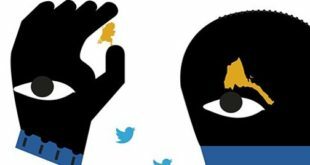 Some people have complained that such intrusion in effect goes beyond controlling the amount of money involved and is in breach of their right to privacy. To date, I have not received any conclusive sign that the national service was reduced to 18 months, following initial indications that this could be the case. Those involved in the 28th round of national service have not been released and although there are reports of planned salary increases for those in national service, I have not been able to ascertain whether this indeed happened. I sadly conclude that conscripts cannot look forward to a life out of indefinite national service and forced labour in the near future. I would welcome updated information from the Government of Eritrea on measures taken to ensure the 18-months term is respected and that children are not conscripted. On 17 February 2016, I sent a follow-up letter to the urgent appeal forwarded to the Government of Eritrea on 18 June 2014 by several special procedures mandate holders regarding the alleged arrest and arbitrary detention of the former Ambassador of Eritrea to Nigeria, Mr. Mohammed Ali Omaro. I requested information on Mr. Omaro’s whereabouts, his health status, whether he had access to medical care, medication and a lawyer and whether visits have been allowed by his family. I am yet to receive any response on the initial steps taken by the Eritrean authorities to safeguard the rights of Mr. Omaro in compliance with the country’s international human rights obligations. According to the latest figures from the United Nations Office of the High Commissioner for Refugees (UNHCR), in 2015 12,370 Eritreans crossed the border into Sudan and although an overall decrease compared to 2014 which stood at 15, 712, a large number of Eritreans continue to leave the country. While the country’s cycling team has inspired many others around the African continent and beyond as a result of their high performance in various cycling events, ten players of the Eritrean national soccer team sought asylum in Botswana in October 2015, following in the footsteps of three previous teams of soccer players who sought asylum in Kenya, in Tanzania and in Uganda. Lastly, before I go into the crux of my update, there are reports that certain countries were contemplating to return failed asylum seekers and refugees to Eritrea, relying on the assurance that they would be accepted back once they signed the “apology letter” or “regret form”. I have consistently highlighted the dangers that failed asylum seekers and other returnees including those who have fled the indefinite national service, could face on their return to Eritrea, such as detention and conscription once more. Signing the “apology letter” or “regret form” does not protect returnees from further violations of their rights. On the contrary, returnees have to admit that they “regret having committed an offence by failing to fulfil their national obligations”, which in most cases, means having fled from indefinite national service. This regret form opens the door to possibilities of further violations and gives the authorities a blank cheque to arbitrarily apply “any appropriate measures”, in violation of human rights without the assurance for monitoring the returns. During my first interactive dialogue with the Council on 4 and 5 June 2013, some Member States expressed concern that very young unaccompanied children have crossed into neighbouring countries, placing their lives at risk and asked how I could address such situation in my work. Since my first report, I have followed the situation of unaccompanied children, and it continues to be a pressing issue of concern. I collected information related to the plight of unaccompanied Eritrean children since 2013, in neighbouring countries and further afield, including in Finland, Italy, Netherlands, Sweden, Switzerland, Tunisia and the United Kingdom. From October 2015 to February 2016, I conducted a number of interviews and focus group discussions with unaccompanied children and the youth who came to the country as children, in full respect of confidentiality and ethical considerations. In addition, interviews were conducted with professionals and NGO representatives who have worked with unaccompanied Eritrean children. 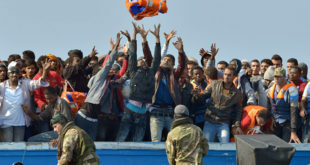 The information gathered relates mainly to their situation in Eritrea prior to their departure, what compels them to leave, the dangers they face on their way to seek refuge. I am grateful to all who provided support in this endeavour, including those who arranged for meetings with unaccompanied children, or opened the doors of their homes and institutions. Moreover, I am grateful to the interviewees themselves, who despite their post-traumatic experiences, showed courage in agreeing to speak with me and described what they went through to find refuge. Since 2008, there has been a steady influx of Eritrean unaccompanied and separated children in Egypt, Ethiopia and Sudan. Eritrean children constituted the largest group of unaccompanied children arriving in Italy, about 3,394 out of 13,026 in 2014 and 3,092 out of a total of 12,360 in 2015. I would like to echo the Committee on the Rights of the Child’s concerns regarding the situation of migrant children and other returnees, including national service evaders and deserters, who face detention and enforced disappearance and their children and other family members are not informed of their whereabouts; (b) the allegations of forced underage recruitment, including through the frequent practice of round-ups called “Giffa”, despite the legal minimum age for recruitment being set at 18; (c) a large number of people leaving the country, including unaccompanied children, face the risk of being trafficked, smuggled or abducted. Furthermore, it is important to ensure protection in the treatment of unaccompanied children, as they face greater risks of sexual exploitation and abuse, military recruitment, child labour and detention. It has been brought to my attention that some States have failed to provide adequate protection as some children continue to be exposed to various human rights violations while in refugee camps or along migration routes. Describing children’s departure as mere ‘push’ and ‘pull’ factors often fails to capture the prevailing overall human rights situation in the country and its impact on individual children. The human rights environment is characterised by compulsory indefinite military conscription which sometimes includes children, as well as arbitrary arrests and detention. This has had an impact on the enjoyment and protection of children’s rights, leaving many of them vulnerable to abuse in the ‘absence of and in search of a better future’, driven by their conviction that ‘there is no future for them’ in their country of origin. In my previous report to the Council (A/HRC/29/41), I highlighted the reasons why children leave Eritrea, as described by the children themselves. My recent interviews have confirmed that these reasons still prevail. Access to education and other self-development and growth opportunities for the youngsters is a primary concern. In my interviews, I also noted that there is a marked difference in access to education and other services such as health between children from rural parts of Eritrea compared to those in urban settings. However, irrespective of their background, the human rights situation in the country was the main reason why young people leave as well as the failure of the Government to live up to the aspirations and dreams of the younger generation, who desired to live differently, rather than spending their lives as soldiers. Finally, the movement of young unaccompanied children can also be linked to challenges and legal requirements with respect to family reunification. The broader human rights situation has affected many children in the country thereby contributing to exacerbate the phenomenon of unaccompanied children who are refugees or in search of asylum. Eritrean children, some of them very young, both males and females, embark on the journey across borders into neighbouring countries and further afield. Each category of human rights violations experienced by the children has had a ripple effect in that it has led to their increased vulnerability. 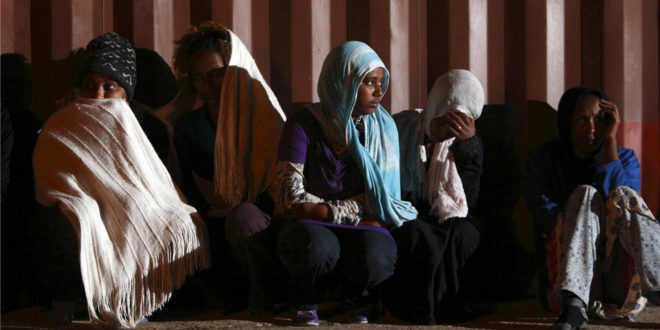 Eritrean unaccompanied children said they feared forcibly conscripted into the army. These fears emanated from witnessing the same fate befall their parents, siblings and other family members as well as other people in their communities. Forced military conscription has been documented as one of the major human rights concerns among Eritreans seeking asylum in other countries. One of the unaccompanied children I spoke with said that her father who was conscripted in the national army, could only visit family for less than a month after being away for long periods, at times for two years. She said this situation was very difficult, as they had to struggle to make ends meet; but the saddest part was growing up without the guidance of a father. Another unaccompanied child said that his family had not seen his brother for several years after he became a military conscript as he was not allowed to return home. For this reason, he resolved that conscription was something he would avoid at all costs and was ready to face the dangers of leaving the country. Some of the unaccompanied children said that if they were caught without identity documents such as their student cards, they would risk being rounded up and conscripted during ‘giffas’ or raids. One of the unaccompanied children said he was caught in a ‘giffa’ after he had gone to the market to buy food for his family. He was detained together with other boys who were even younger than him and his parents were not allowed to see him while he was in detention. He was sent from prison to military training until he fled the country. Another unaccompanied child noted how his brother was forced into military conscription and he feared the same would happen to him due to his poor performance in school and the mere fact that he looked older than his age. Witnessing this spurred him to leave the country in fear that such fate could also befall him as he was not well gifted academically. The exposure of Eritrean children to violence and arbitrary arrest both as witnesses and victims was among the top compelling reasons Eritrean unaccompanied children cited for leaving the country. Several among the unaccompanied children highlighted experiences in which they witnessed violence against a family member or friend, thereby creating fear that the same fate could befall them. Some of the unaccompanied children experienced violence first-hand, including arbitrary detention after the ‘giffas’ or for inquiring about relatives who were detained, or because they were suspected of wanting to flee the country. Fear that this could happen again was expressed as a reason for leaving. One female interviewee was suspected of planning to leave the country, as a number of her friends had already left. She was not planning to do so, as her mother was mentally disabled. She was put in detention for three days, an experience which traumatised her to a degree that she eventually left the country, only to be injured at the border when shot at during flight. Most of the unaccompanied children emphasised that they left Eritrea to seek a better life for themselves as well as their families. This might be misconstrued to mean that these young Eritreans are economic migrants. However, further discussions with them pointed to broader goals and expectations which compel the children to leave. They expressed a general sense of despair with the current situation, which according to them, would not allow for further personal development. Fear of a future constrained by indefinite military conscription and arbitrary detention for exercising fundamental freedoms such as freedom of expression or religion, where chief among the concerns they voiced. One of the children said: “In Eritrea there is no hope for a future, there is nothing to dream of or think of, so you have to leave the country to reach your goals. Several unaccompanied children explained that accessing better educational opportunities was one of the strong motivating forces pushing them ahead during their journey. They expressed their desire to further their education and pursue various careers, including in the field of dentistry, as a chef, a jewellery designer, a doctor, and an officer, with the aim of reaching the rank of captain in the merchant navy. 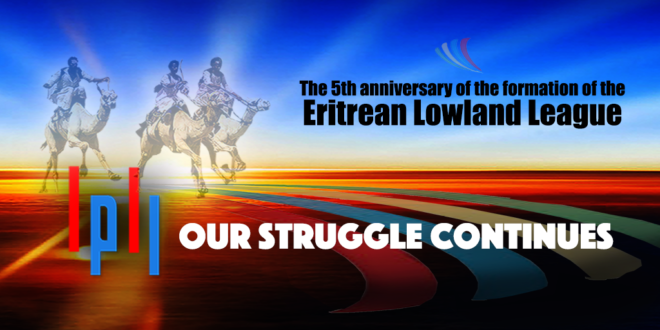 However, they also said they did not trust that their dreams to pursue their chosen careers could have been possible in Eritrea because of the current situation in the education system, in which they experienced shortages of teachers and other resources needed for effective learning. They also highlighted the state of demotivation among teachers, a contributing factor fuelling absenteeism and poor performance among students, especially among those coming from rural settings and border towns. They also noted that even if they were to complete school in Eritrea, their future would still be controlled and they would not be able to engage in a career of their choice; they would still be conscripted into the military. One of the unaccompanied children explained how her siblings had finished school, but still ended up as conscripts in the national service as soldiers and teachers, even if they had other dreams – an experience which motivated her to leave to avoid the same fate. The anticipated better life and future have however not always been fulfilled. The difficulties of leaving Eritrea, of being caught at the border and detained, the challenges in seeking asylum, pose significant impediments and dangers for Eritrean unaccompanied children, a situation which often spawns more despair. While many have referred to ups and downs, I have met at least one unaccompanied child who had contemplated suicide as he found it difficult to travel further, stuck in Sudan and Libya for several months. Another interviewee noted: “Many children of my age have a mistaken rosy picture of Europe”, which became a source of despair as the difficulties of seeking asylum and integrating into the host country became apparent. In leaving Eritrea, the unaccompanied children are subjected to an array of protection risks, starting right during the clandestine border crossing. In doing so they become vulnerable to other violations including trafficking, abduction for ransom, sexual violence, torture and other cruel and inhuman treatment, among other numerous dangers. They shared with me some of their experiences in travelling from Eritrea in the hands of smugglers and traffickers in the different territories, though this was not the focus of my investigations. I very much welcome a UNHCR child protection regional initiative “Live, Learn and Play Safe”, implemented over 3 years (2014-2016) in Egypt, Ethiopia, Sudan and Yemen, addressing protection, assistance and solutions needs of unaccompanied and separated refugee children, including Eritrean children. I will continue to bring to the attention of the international community the plight of unaccompanied Eritrean children, highlighting the fact that they represent a group with special protection needs (A/HRC/29/41). The ongoing human rights violations in Eritrea remain a reason for concern, but the situation unaccompanied Eritrean children fleeing the country is even more appalling. 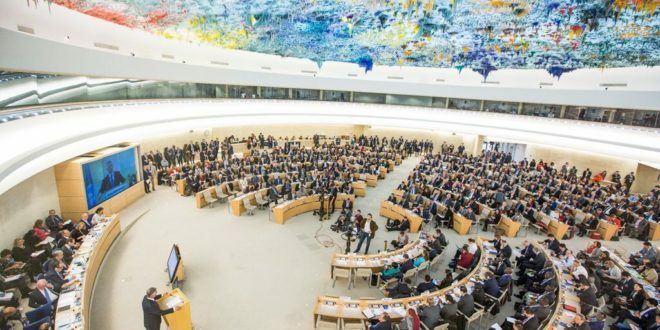 Prioritize improvements in the overall human rights situation by addressing the most pressing ones, in accordance with the country’s international human rights obligations to address the root causes of the huge number of departures, in particular of children, keeping in mind recommendations emanating from all human rights mechanisms. Bearing in mind General Comment No. 6 (2005) of the Committee on the Rights of the Child on treatment of unaccompanied and separated children outside their country of origin, States should evaluate the protection they provide to unaccompanied Eritrean children and make necessary adjustments wherever required. Considering the Human Rights Council resolution 29/12 on unaccompanied migrant children and adolescents and human rights, care and protection programmes for unaccompanied Eritrean children should provide for individualised responses, targeted and specific to the needs of the unaccompanied child, with a strong component of psychological support, in view of the traumatic experiences they have endured. People have rights. Their rights have to be respected. I have seen many bad things. Many bad things happened to me. We want to be healed from our pain. My country Eritrea needs to heal too. We need to heal together. My country needs to live peacefully, like the country where I am living now. I am encouraged by observations over the past one and a half years or so that Eritrea is ready to engage with the international community and vice-versa, to make human rights and peace a reality for this child and for every Eritrean. I therefore encourage a meaningful dialogue which takes into account different realities, imperatives and perspectives in a world where human rights transcend borders and barriers, and should not be traded for short-term political gains. Art. 5(1) of Legal Tender Nakfa Currency Notes Regulations No. 124/2015. The Working Group on Arbitrary Detention, the Working Group on Enforced Disappearances, the Special Rapporteur on the Right of everyone to the enjoyment of the highest attainable standard of physical and mental health, the Special Rapporteur on torture and other cruel, inhuman or degrading treatment or punishment and the Special Rapporteur on the situation of human rights in Eritrea. The Committee on the Rights of the Child in its General Comment No. 6 (2005) on Treatment of unaccompanied and separated children outside their country of origin highlighted the treatment of unaccompanied children in the territories they transit in. The Special Rapporteur met with an 11-year-old child who travelled to Europe unaccompanied at the age of nine. Interviews (October 2015) on file with the Special Rapporteur.